A friend asked me why Jeep owners were so obsessed with climbing on each other’s tires whenever they get together and the smartaleck in me responded, “Because we can!”. It’s true, off-roaders and especially Jeep owners like showing off how much flex, or axle articulation, they have because it’s an indication of the vehicle’s abilities off-road. Axle articulation is vertical wheel travel – as in, how far the axle can move up and down relative to the chassis. Articulation is what allows the vehicle keep all four tires in contact with the ground on rough terrain, which provides better stability and allows the vehicle to maintain traction. On a solid axle vehicle like a Jeep, as one side of the axle is forced up, the opposite side is pushed down as the suspension conforms to the terrain so that maximum traction and stability is maintained. 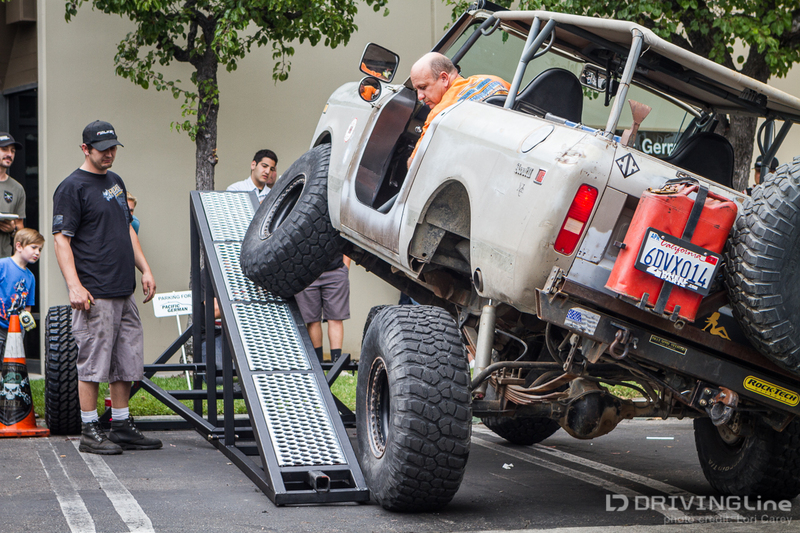 It is one of the most important factors in determining if a vehicle can get over an obstacle. It works in the opposite direction too. When one wheel drops down into a deep hole, it allows the opposite and higher wheel to maintain contact with the ground. 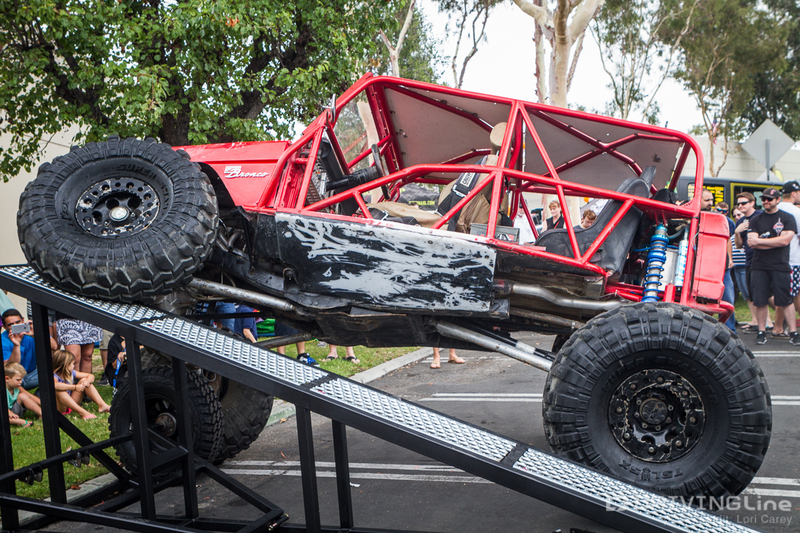 I stopped by the Open House at Rebel Off Road in Laguna Hills, California one recent weekend to check out the RTI Ramp contest. An RTI ramp is commonly used to determine a vehicle’s Ramp Travel Index (RTI) score. The RTI score indicates the amount of articulation, actually suspension flex because the amount of articulation is really dependent on all of the suspension components. 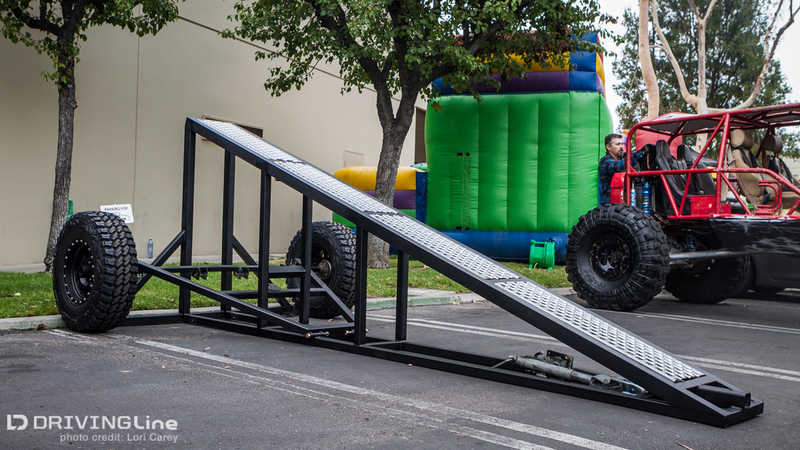 The ramp is typically a 20-degree ramp, but higher ramps can be used for more highly modified vehicles. At the RTI ramp the vehicle drives one tire up the ramp until the point when one of the other tires starts to lift off the ground. The score is then calculated, with all four tires maintaining contact, by measuring the distance traveled up the ramp at the center of the wheel and dividing by the vehicle’s wheelbase, then multiplying by 1000. Factoring in the wheelbase allows vehicles with different wheelbases to compete on the same ramp. An RTI score of 1000 means that the vehicle can travel exactly the distance of its wheelbase before a wheel lifts off the ground. Most stock SUVs typically score somewhere between 400 and 600. 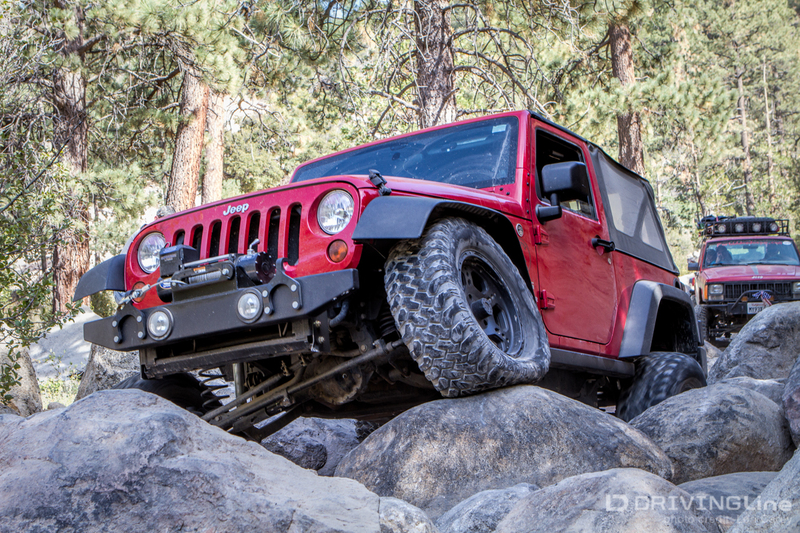 In 2012 Edmunds calculated the RTI for a stock 2DR Jeep Wrangler JK at 820 and the 4DR JKU at 687 (with swaybars disconnected), a good starting benchmark for those us driving JK Wranglers. 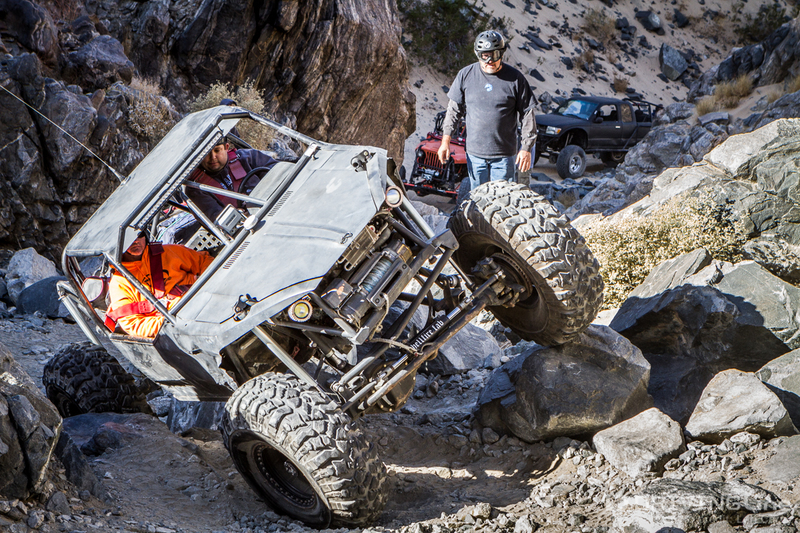 Aftermarket suspension systems can help increase articulation with longer shocks, longer control arms and sway bar disconnects. 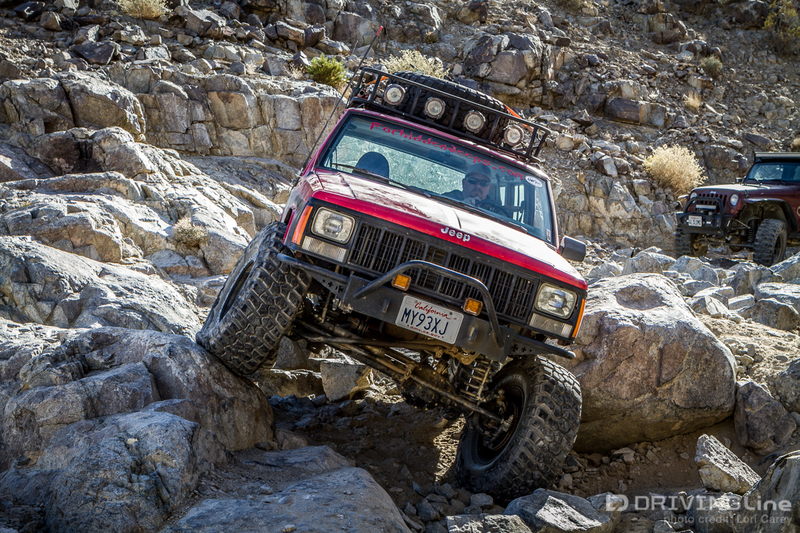 Disconnecting the sway bar is the easiest way to get a big improvement on a solid axle vehicle, and a slight improvement on vehicles with independent front suspension. Just make sure to reconnect again before hitting the pavement. The sway bar is designed to keep the vehicle level and prevent rolling. You do not want to travel at highway speeds and take a fast turn with the sway bar disconnected because you could easily roll the vehicle. 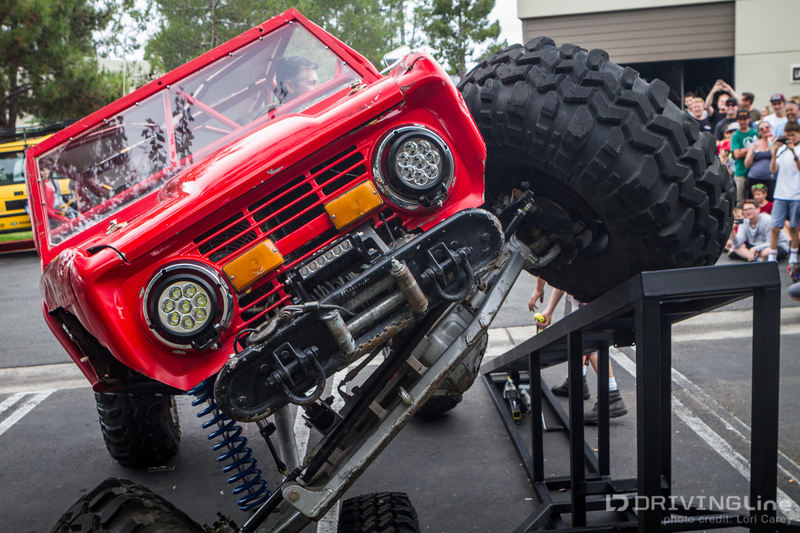 Full size fender flares can inhibit wheel movement if the tires rub when the axle is articulated. The coil compression rate can affect flex and the RTI score because stiffer springs decrease articulation. Other factors that can affect articulation are tire pressure (lower pressure increases articulation) and the weight of gas, tools, people and gear. Other than bragging rights the RTI score by itself is really meaningless, but it can be a good way to compare the results of any improvements you make to your suspension system. How much articulation a vehicle needs depends on how it is going to be used. 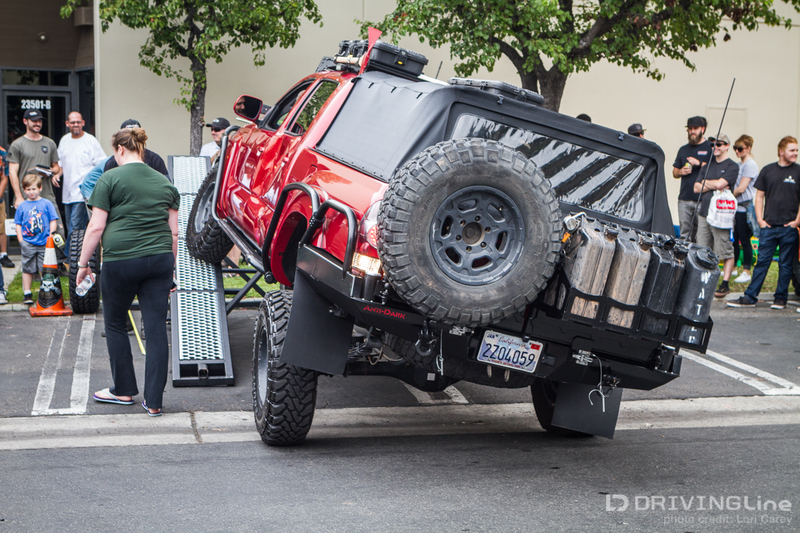 A vehicle that is purpose-built for overlanding typically isn’t as concerned with maximizing articulation as is one that is built for rock crawling over large obstacles. Competitive off road vehicles such as this buggy want as much articulation as possible. 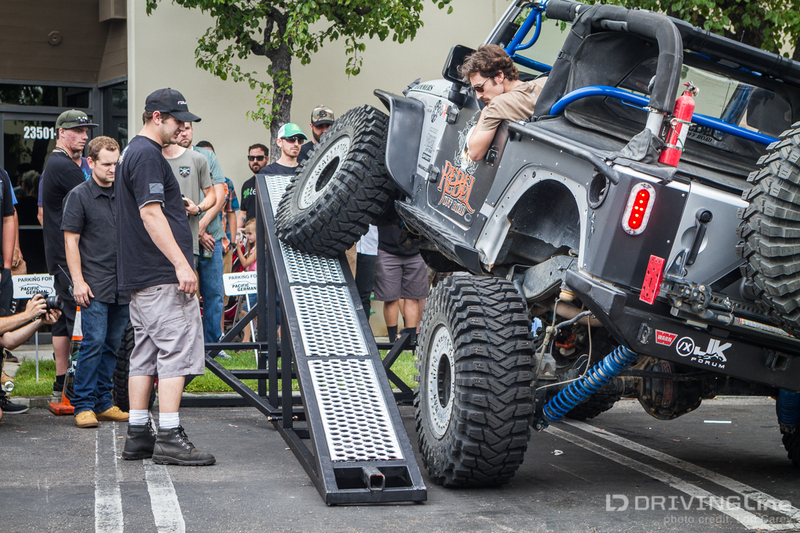 Since the RTI score of a highly modified vehicle typically exceeds 1000, they are often measured on a steeper ramp like a 23- or 30-degree ramp. The scoring is the same, so it is important to mention which ramp was used to determine the score if you are comparing your score with someone else. In real life out on the trail, a high RTI score alone isn’t always enough to make it over the big obstacles. You could have a super flexible suspension system but full-width bumpers could hit and prevent forward motion when climbing a rock. That’s the main reason that most rock crawlers have stubby bumpers instead of full size bumpers. I was too busy taking photos to run my Jeep up the ramp, and now I really wish I had. The last time I took it up a ramp was back in 2008 when it was still a baby and scored a respectable 855. I’ve made many changes since then and it would have been great to be able to compare now with then. 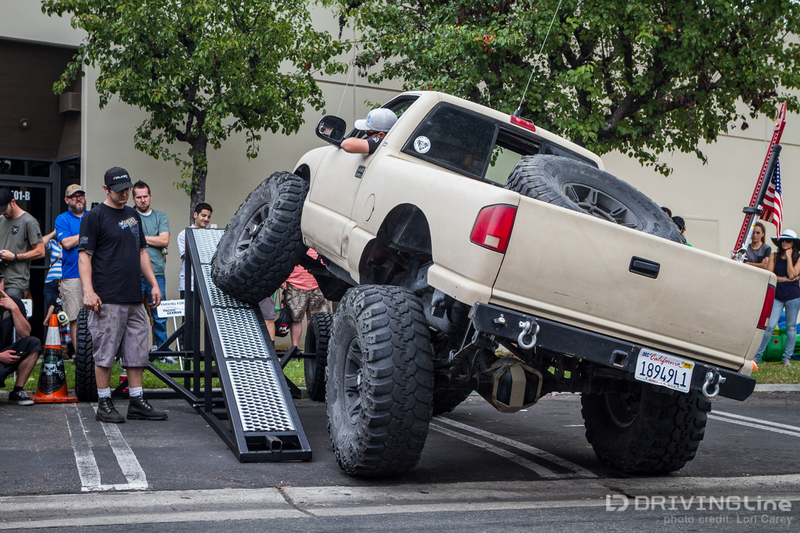 Have you tried an RTI ramp? Brag about your score in the comments below!